Mt. 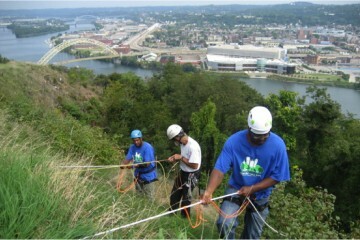 Washington and Duquesne Heights. All photos by Brian Conway. 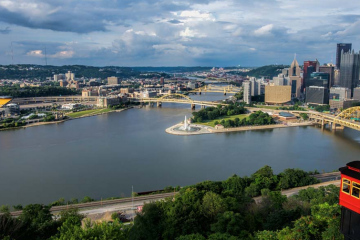 From a compact, bustling business district to a neighborhood-spanning greenway, there is much more than just breathtaking views in Mt. Washington. If you don’t live near Mt. Washington, chances are your last visit was to take an out-of-towner on the incline, pose for wedding photos, or celebrate a special occasion at a swanky restaurant perched cliffside overlooking the city. Grandview Avenue was named back when the word “grand” still carried some heft. The views up there are spectacular, to be sure, but that’s just the icing on the cake. To experience the rest of Mt. Washington—the community of Mt. Washington—one most trek away from Grandview and into the neighborhood itself. Fortunately for the day traveler, the heart of it all is only a few blocks away. 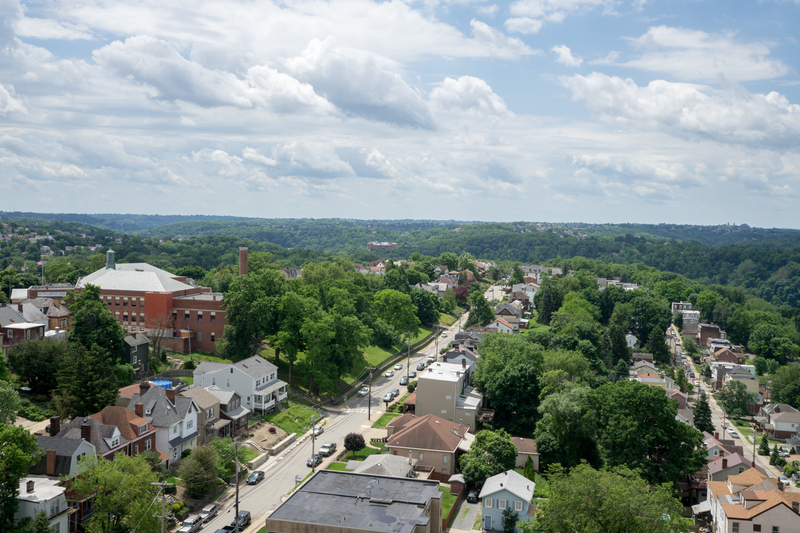 And a good time to visit is the weekend of June 17th during Next 3 Days, a three day celebration of Pittsburgh’s Hilltop neighborhoods of Mt. Washington and Allentown. Flowers for sale on Shiloh Street. BC photo. Most of Mt. 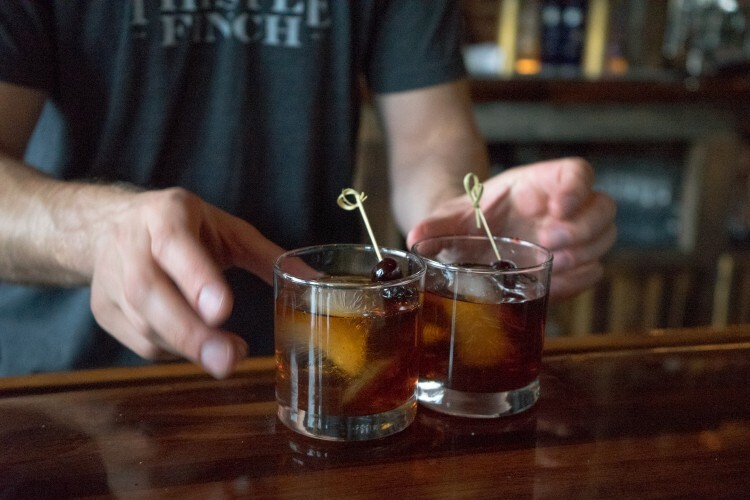 Washington’s commerce nightlife extends along a compact four-block stretch of Shiloh that takes all but five minutes to walk from one end to the other. But within that span you’ll find a barber, florist, post office, two banks, two diners, restaurants and bars of all stripes, and a grocery store around the corner. Start at the Mon Incline and round the corner to DiFiore’s Ice Cream Delite for some soft serve, a sandwich, or even homemade soup. 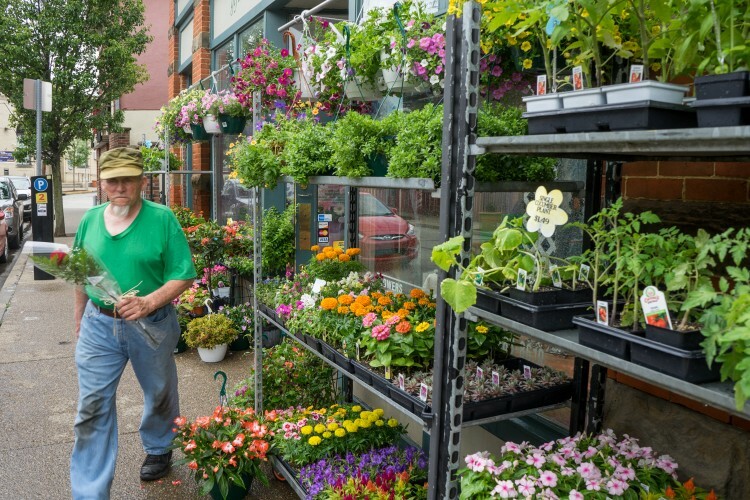 Howard Todd—a neighborhood fixture in his own right—opened DiFiore’s in the mid-90s and it is by most accounts the longest-running business along the Shiloh corridor. He and his wife, Patricia, also own Grand Brew Coffee, a cozy shop next door that serves homemade pastries alongside fresh espresso and coffee. 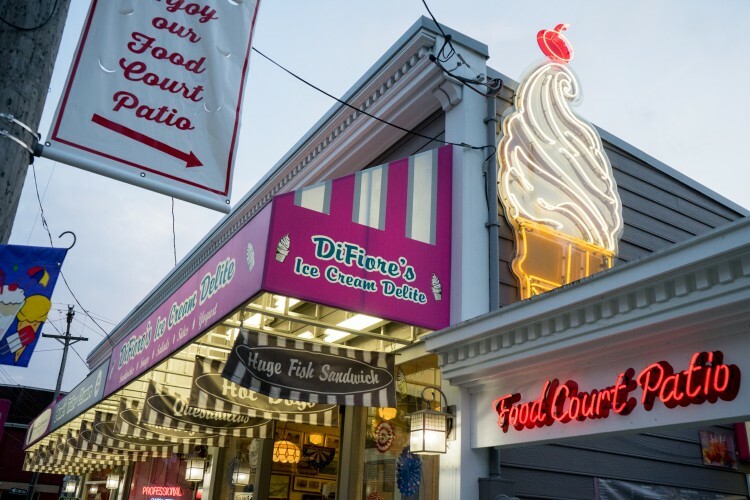 DiFiore’s Ice Cream Delite. BC photo. Across the street is Shiloh Grill, younger cousin to Shadyside’s Harris Grill and a very good restaurant in its own right. Casual and unpretentious, the menu is heavy on comfort food, from totchos and wings to “burghers” and beer—over 15 on draft. There’s free parking on site, an outdoor deck, and, oh, Tuesday night is Bacon Night. Around the bend is Redbeard’s, longtime local gathering spot and older cousin to the one Downtown. Inside, food and atmosphere that’s a step above your typical sports bar; outside, an expansive patio upon which to enjoy that steady Hilltop breeze. Across the street is The Summit gastropub and cocktail bar. Kick back with a peach julep or blueberry mojito while enjoying some fresh oysters or tacos al pastor. This place gets crowded fast, especially on weekends. Old Fashioneds at The Summit. BC photo. Chinese food can be found next door at Sesame Garden, as well as cheap drinks at a couple nearby watering holes, Sloppy Joe’s and Cafe Nikos. For even more beer, head down another block and hit up Packs and Dogs, where over 600 beers are available for takeout. Or, stick around for an all-beef, natural casing hot dog or freshly made sandwich while enjoying one of the 16 additional beers on tap. 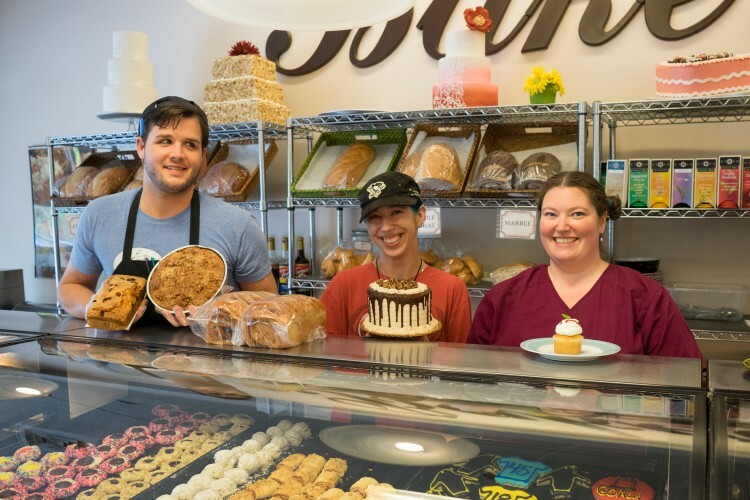 Packs and Dogs is sandwiched between two more delicious Shiloh eateries, Grandview Bakery and Micro Diner. Both serve exactly what you’d want and expect: fresh, delicious donuts, pastries and cakes at the former; hearty, honest diner fare—both breakfast and lunch—at the latter. Micro Diner is open late on Friday and Saturday nights, and they also deliver locally (as do DiFiore’s, Redbeard’s, and Packs and Dogs). Staff at Grandview Bakery (Flip, Mandy, and Brandi). BC photo. 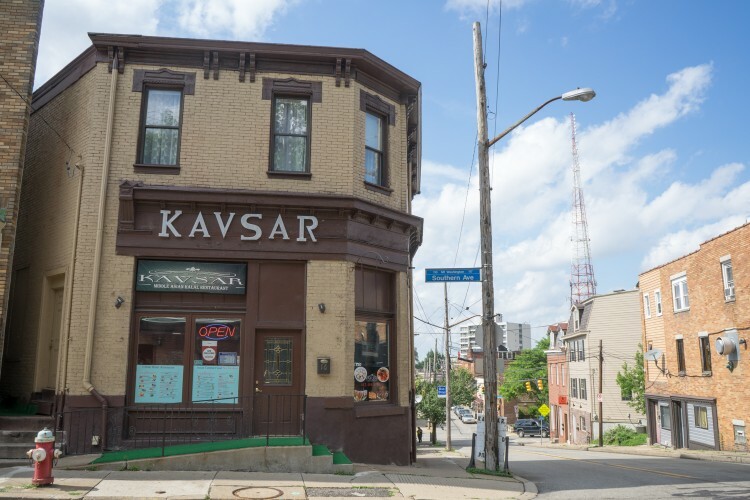 Cross over Virginia for the final two eateries on Shiloh: at the far end, Kavsar, Pittsburgh’s only Uzbek restaurant, specializing in soups, dumplings, and kebabs alongside Russian dishes as well, all of it halal. If you’re lucky you’ll run into Pens superstar Evgeni Malkin, who has become something of a regular. Across the street, Scarpaci’s hosts an open mic night every Wednesday, which also happens to be wing night.